Maxpro Window Films, a manufacturer and supplier of high quality, precision window film, uses New Era Converting Machinery Inc. to provide them with not just the machinery, but the installation and support that they need to meet the high standards of precision and repeatability they require for their product. Paterson, NJ (May 11, 2015) . . . When Maxpro Window Films began operations in 2013, their company goal was to set out to find a better way to produce better quality window film. Window films in the market had several known problems, including poor shrinkability, discoloration, cracking, peeling, and delaminating, that Maxpro believed they had the engineering firepower and experience to solve. Maxpro approached New Era, a known leader in the film converting industry, with their ideas and the specific challenges their process would present. New Era came back to them with the beginnings of what would become Maxpro’s competitive advantage. 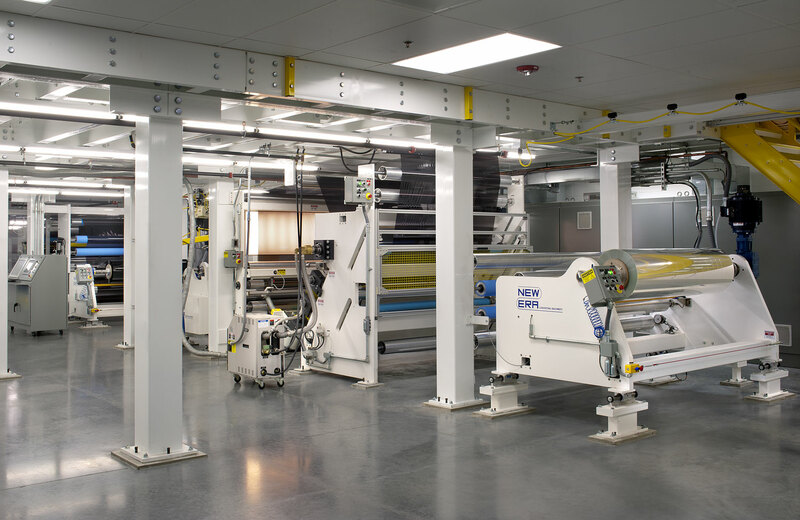 After some back and forth fine tuning between the engineers at Maxpro and the engineers at New Era, the final design was a complete clean-room ready, turnkey coating and laminating line that was designed to operate with the high degree of precision and repeatability that Maxpro needed. New Era’s support, however, was what really stood out to their happy customer. Maxpro is now a leading manufacturer of high quality, precision window film used in a wide variety of applications, including tinting for automotive glass, as well as residential and commercial applications. All of their window films are made at their plant in North Carolina, using New Era’s turnkey line, and are backed by a lifetime guarantee. “Today, we are producing what we consider to be the highest quality window films in the industry, and we are happy to be working with New Era,” said Joe Cobbe, President of Maxpro Window Films. “The service since the installation has been outstanding. We could not ask for better attention and New Era’s response has been better than anything we could have expected or anticipated. We consider them more than just a machinery supplier, they are a true partner in helping us to achieve our business goals. Maxpro Window Films is a specialty manufacturer of automotive, residential and commercial window films. Their manufacturing facility in North Carolina houses the newest and most advanced machine in the United States, as well as some of the industry’s best and most experienced engineers. All of their 100% American made window films are backed by a limited lifetime guarantee against fading, peeling, cracking, adhesive failure, demetallization and delamination.